End of our Spring 2019 Runway Season! It was a busy week for sure, as we traveled between Kansas City and Denver. 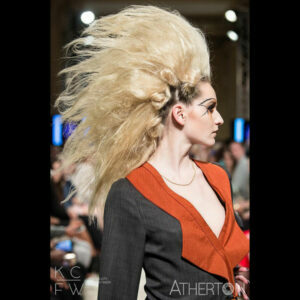 Topping Designs showed for both Kansas City Fashion Week and Denver Fashion Week this runway season. We started out with an amazing opportunity to appear on Kansas City Live! Then returned for the Denver Fashion Week hair show, where we had the absolute honor to create a few simple looks for Scott Lobben and his team at Rita B. Salon. Finally, it was back to Kansas City for our segment on Thursday and a quick turn a round for the closing night in Denver. Kansas City was a wonderful experience. We partnered with KC Bombshell Beauty Crew for hair and makeup. Thank you Terin Sexton and Josie Boyd Brown for all of the tremendous artistry and skill your team displayed for our segment. We also had the privilege of casting local models to showcase our looks, and would like to thank each one of them for their energy and spirit; Torie Thompson, Saloni Sinha, Alison Williamson, Samantha Smitka, Shannel Watkins, Lillian Tharp, Jalee Bluie, Maria Savoy, Tamarrah Price, Lucille Presley, Morgan Pashen. And special thank you to Karli Smith, Brandy Palacios and Amirah Lacey for their appearance on KC Live. And to Victoria Gevorkov for her professionalism. 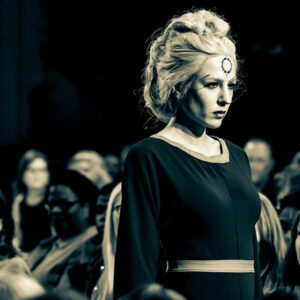 We would also love to thank the Kansas Fashion Board and KCFW Production team for their remarkable commitment to an excellent show and for inviting us to participate in their production. Another special shout out to GOODZILLA for ensuring our music was on point! Maria Savoy looking stunning on the runway! Victoria Gevorkov closing it down in KC! As always we were honored to close Denver Fashion Week this season. It was a local debut for the new Topping Designs look. We’d like to give some special love to Hannah Werling, her production team, and to Charlie Price for making the end result spectacular. We owe a big portion of our success to them! To Darrel Dewitt, Sylvie Kates and Georgia Tournai, thank you so much for your work on our hair and makeup. We were short handed, but you pulled it off wonderfully! For our amazing cast of local Denver models, that was all thanks to Julie Gallahue! We love you Julie! Each one of these young women is an amazing talent, so thank you; Alex Troxtell, Carmon Lyons, Megan Rooke, Genessee Erickson, Emma Reese, Midori Horton, Emelia Castro, Sharena Pope, Taiya Werling, Mikaila Torres, and Olivia Cousey. Special thank you to Niso Ulmasova, Zoie Zeller and Joyce Green for stepping in late and killing it anyway! And of course, to Mia Felicia (303 Magazine’s Model of the Year), you will always be special to our hearts! 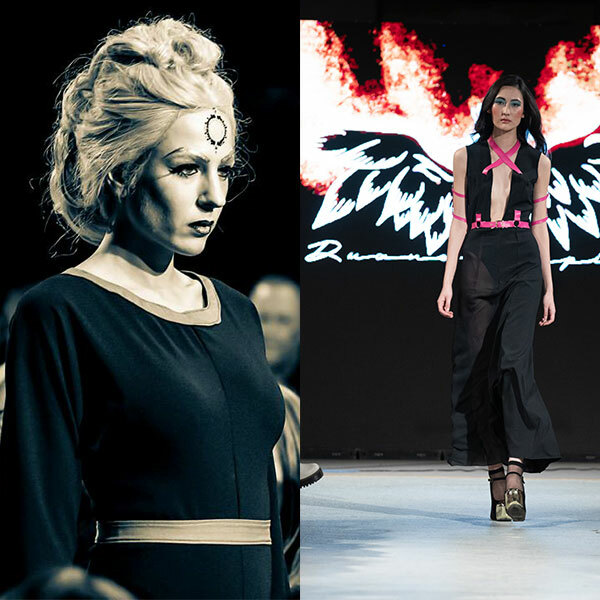 Runway is where we truly are able to tap into the spirit of why we do fashion! The models’ are our inspiration. Their power, poise and grace bring our garments to life!